Get involved with the latest sporting craze to hit Queensland as a Walking Netball Game Facilitator. 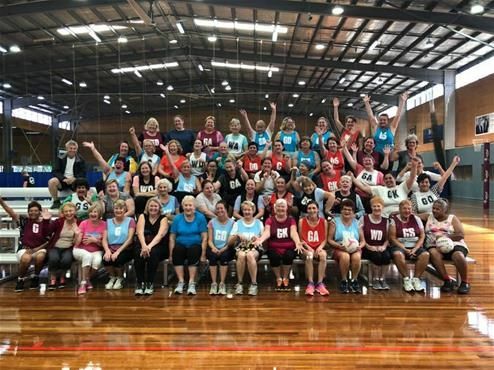 Walking Netball Brisbane is running a Walking Netball Program in collaboration with Netball Queensland. This program is aimed at improving the physical and mental well-being of it's participants. Tasks include team organisation, basic umpiring and encouragement to ensure a safe and welcoming environment for low impact netball games. We have created a fun, all inclusive sporting environment for a wide range of player capabilities from beginners to experienced to participate. You will enjoy plenty of support from other volunteers, players and coordinators. This position would suit a stay-at-home parent or retired netball enthusiast. If you LOVED netball as a child and still do, come along and share your love of this sport with the friendliest bunch of people you will ever meet. You will be required to welcome new people and introduce them to other participants. Help new players to understand the Walking Netball Rules. Basic umpiring duties. Laugh along and get involved with the on court antics. We will be organising social events such as Firebirds Tickets, Carnivals and Masters Games. Tuesday 7-8pm Rode Rd, Chermside. Come along and get involved with the fun with Walking Netball Brisbane. 6:30pm - 8:00pm on a Tuesday evening during school terms. Walking Netball doesn't run during School Holidays. On the job training and support.